Dulbecco's modified Eagle's medium with 10% fetal calf serum. Essentially suspension culture. Some adherent cells can be dislodged by scraping. A saturation density of 1-2 x 10^6/ml is obtainable. Purification and partial characterization of a receptor protein for mouse interferon gamma. Major histocompatibility complex-restricted antigen presentation to antigen-reactive T cells by B lymphocyte tumor cells. Antibody-dependent killing of erythrocyte and tumor targets by macrophage-related cell lines: enhancement by PPD and LPS. 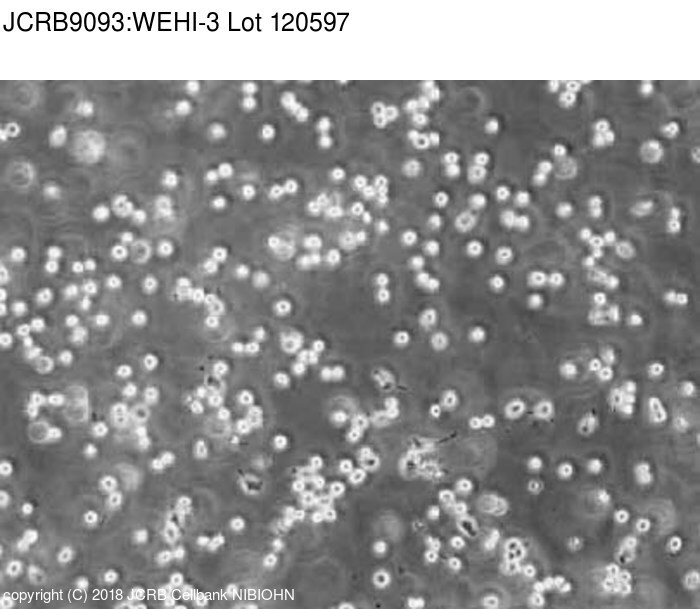 Direct toxic effects of immunopotentiators on monocytic, myelomonocytic, and histiocytic or macrophage tumor cells in culture. 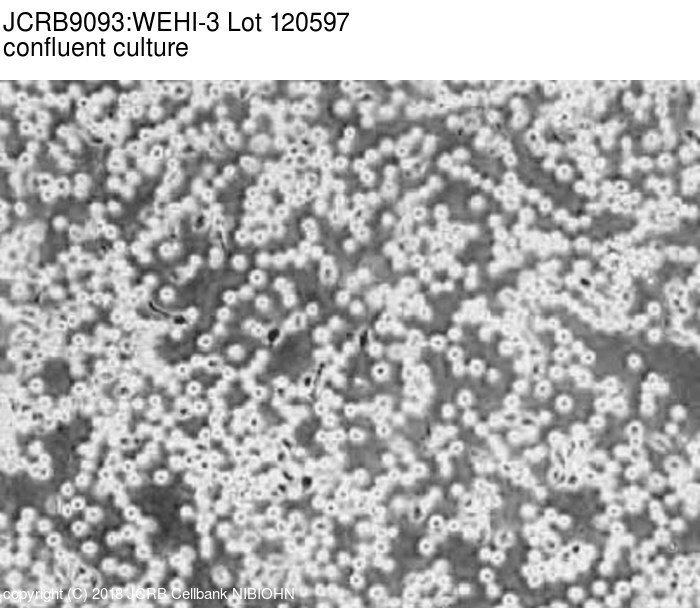 Colony formation in vitro by myelomonocytic leukemic cells. Harvest with rubber policeman if adherent cells were appeared. Basically dilution is applied. Adherent cells can be dislodged by scraping. A saturation density of 1-2 x 10^6/ml is obtainable.